MAGA Evans knocked all the motor oil outta Box Chevy. Io tried to kill that little girl with all that thigh meat. Glad Cedric got freed from 205 purgatory. 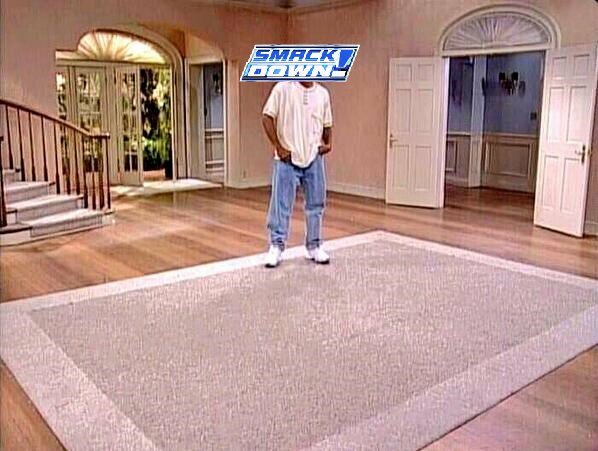 Should've gone to Smackdown though. He's in a halfway house now being on Raw. D Fly and Peep Game like this. Missed the whole show..Is it worth watching on the Hu of Lu’s?.. AEA18, llerraj, youngogjosh and 8 others like this. War Raiders are now Ivar and Erik: The Viking Experience. ..yup. And Naomi & Bayley formed the ultimate big booty tag team. NTWT decided to crown them with team names like Booty Talk & 40oz Bounce. Feel free to add your own. JCMojica24, youngogjosh, the 718 truth and 4 others like this. AEA18, youngogjosh, the 718 truth and 4 others like this. AEA18, youngogjosh, franknbeans and 18 others like this. youngogjosh, franknbeans, the 718 truth and 2 others like this. AEA18, Blue Mamba and D Fly like this. AEA18, llerraj, youngogjosh and 6 others like this. AEA18, Meangene45, llerraj and 5 others like this. MONEY IN THE BANK 2019!!! AOkae, the 718 truth, 6 Rings G.O.A.T. and 3 others like this.